A recent article from The Atlantic talks about the plight of the upcoming sci-fi film Annihilation. Following Ex-Machina (2015) Alex Garland was riding a wave of success and acclaim when his debut wowed audiences and critics alike. With its talented cast, limited scale, and compelling story it was an indie hit for A24 which was still finding its feet as a producer and distributor of film at the time. Sadly after poor test screenings and behind the scenes turmoil for his his follow-up Annihilation, it is arriving with little fanfare and, outside of North America and China. is going straight to Netflix in most other territories. This is however certainly not a new problem for “high concept science fiction” nor even for Alex Garland himself. Alex Garlands’s breakout novel The Beach was made into a feature film by Danny Boyle. They would then go on to collaborate on 28 Days Later, an incredibly important film in the resurrection of the zombie genre. Five years later their next collaboration leant even further into genre film with the sci-fi epic Sunshine. The pedigree for this film both in behind and in front of the camera was utterly compelling for a science fiction fan like myself. Having loved and been utterly terrified by 28 Days Later I was totally on board for another Garland/Boyle collaboration. Even better was the cast which starred Cillian Murphy (also the lead in 28 Days Later), an up and coming Chris Evans ( Commander USA Guy!) and international heavy hitters like Michelle Yeoh (Crouching Tiger, Hidden Dragon and gazillion other movies) and the amazing Hiroyuki Sanada (Ringu, Twilight Samurai) along with a bevy of other excellent character actors. The cast was diverse and interesting and the visuals looked incredible, evoking the sci-fi of the 60’s and 70’s far more than post-Star Wars fantasy and dogfights in space. The plot was fairly straight forward, in 2057 our Sun is running out of gas and Earth is plunged into a new Ice Age. Genius scientist Robert Capa (Murphy) has formulated a plan that amounts to taking an enormous bomb to the Sun that would kickstart the core of the star and save the planet Earth from freezing solid. One mission had already travelled seven years earlier only to completely lose contact and fail so a second crew, including Capa himself, attempts a last-chance second attempt to save the planet Earth. The toils of space travel, the impossibility and enormity of their mission, character drama, Sunshine has hard sci-fi creds all over the place. It is certainly not a perfect film by any means, many were turned off by the third act, but for me it was a high concept sci-fi revelation. Why? Because we just don’t get many of these. After the Wachowskis went hard on the sci-fi in their sequels to The Matrix and disappointed a whole load of people, on top of the discouragement of the ridiculously awful Star Wars prequels, science fiction was hardly top of many movie executive’s lists of genres to mine for money. It’s something of a surprise Sunshine was made at all but considering deeply frustrating treatment of the movie’s release it showed series buyer’s remorse from Fox. First slated to be debut in late 2006 it was then shunted back to April of 2007. It was then moved again to September 2007 before being brought forward to July. Getting a decent run in UK cinemas (the film was a UK/US co-production) Fox Searchlight left Sunshine to die on the vine with a pathetic 10 screen release on July 20th, 2007 where it was utterly eclipsed by the remake of Hairspray and I Now Pronounce You Chuck and Larry (UGH!) which both saw 3000+ screen debuts. Thankfully one of those screens was in Philadelphia and I got to see the film on one of the the Ritz East’s largest screens with a healthy-sized audience. This film was knocked around by it’s distributor like it was a bad Amityville sequel when it was in fact a great genre character piece that had an appealing cast that should have had a shot at a real release. The film that cost approximately $30-35 million to produce barely made its budget back, if that. Sunshine, like most of its ilk, has gone onto find minor cult status and many fans discuss its strengths and weakness to this day. But that’s it. Alex Garland is not a stranger to projects he’s had a hand in not bringing in the cash. Never Let Me Go and Dredd both suffered at the box office despite the marquee stars of the former and the cult favorite comic hero of the latter and he wrote the screenplays for both. 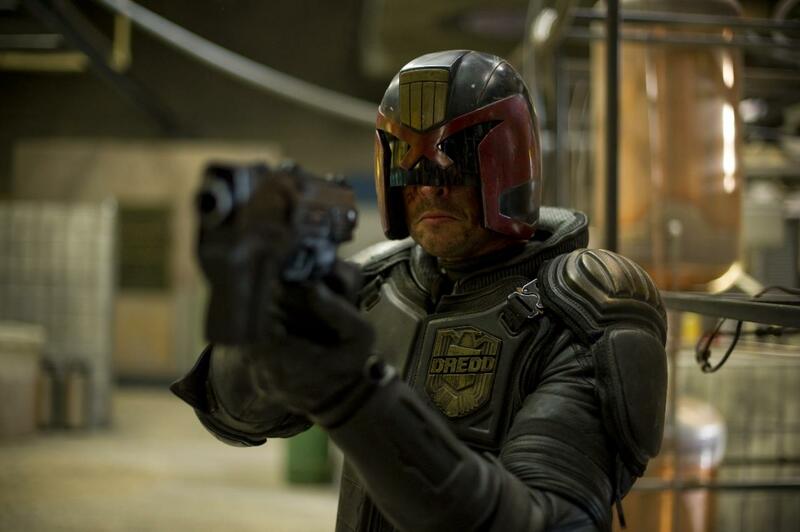 Dredd suffered from almost non-existent marketing and from the dogged insistence by Lionsgate to largely only give out 3D versions to cinemas meaning the cost of seeing the film went up thanks to a visual gimmick that was not even remotely necessary for the enjoyment of the film. Another mistake made at the corporate level that hamstrung a really fantastic, violent and colorful sci-fi action film. Indeed Ex-Machina, Garland’s first time directing as well as writing, was an indie hit and a critical darling but not a crossover commercial success on the level of something like what Get Out achieved in 2017. Alex Garland has not yet proven himself as a guy who could take a more expensive sci-fi movie with name actors (even then it’s budget is a modest $75, half of Blade Runner 2049). Honestly, most of everything he has made has been based on a book or is so chock full of other movies’ and stories’ ideas they verge on being unofficial tributes. The fact that he writes genre pieces certainly is part of his lack of mainstream appeal but those worrying that a weak performance for Annihilation will somehow stifle his career should probably take a look at the history of white men in, well, every field everywhere in the world, ever. Where the disappointment comes for us sci-fi nerds is having so little to look forward to that isn’t a movie with sci-fi elements such as most of the Marvel movies for instance. Then when a high-concept sci-fi movie does manage to slip past the risk-averse decision making of Hollywood suits and makes serious bank those films aren’t seen as anything more than a quaint anomaly. Christopher Nolan’s Inception made over eight hundred million dollars worldwide but was considered a fluke. Avatar made over two billion worldwide but will likely be remembered more for legitimizing 3D as a format than it will be for being a successful science fiction film. Arrival was a wonderful sci-fi film that doubled its budget but the genre in which it exists is very much secondary to the actors, the directing and the writing. The Martian? It was Ridley Scott and Matt Damon what made that one successful! None of these films, and not even the new Star Wars series, could be argued to have kick started any sort of renaissance in hard sci-fi on any scale. Blade Runner 2049 didn’t make its budget back last year despite being a sequel to a beloved classic and being really, really bloody good. Alien Covenant underperformed also but that was shite. 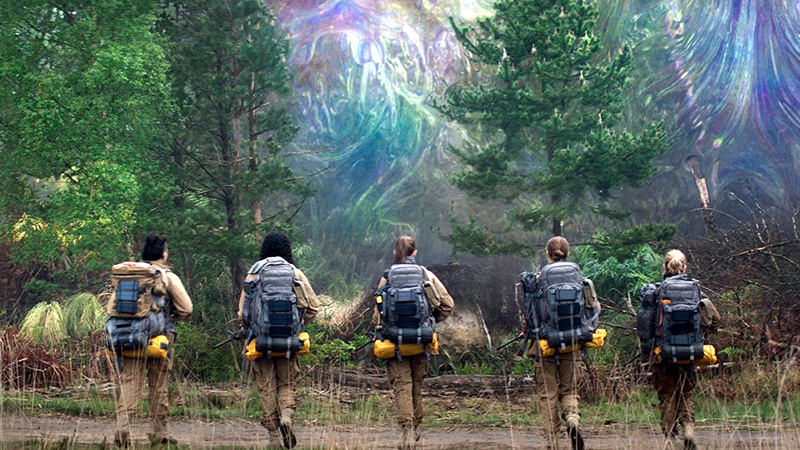 I have not yet seen Annihilation but plan to opening weekend. Unfortunately right now all we know about it are the negatives. That test audiences were cold, that there was an out and out showdown between producers over Alex Garland’s creative vision. There’s also the sad state of affairs that, again, a book has a major character who is a woman of color who has been cast as a woman because they needed a “star” despite the fact we know big stars don’t sell movies by themselves anymore. But more than anything seeing another piece of high concept sci-fi get cut off at the knees before it has even been released is nothing new to us nerds. Hell, I was all ready to pay at a theater to see that new Cloverfield movie when it was called God Particle. There’s a reason why we still talk about classics of decades past like 2001: A Space Odyssey, Solaris (the Russian one), Dark Star, Rollerball, Silent Running and Blade Runner. We just don’t get that much to celebrate. Science fiction is expensive, expectations are high and studio patience is short. We’ll take what we can because for the foreseeable future hard science fiction will not be a legitimate genre in big budget cinema and that is a damn shame.